Rally & Broad…Le Grand Relaunch! It’s Here! Comrades! Pals! Dearest! Lend us your whatsits! It’s finally here! Season 4 is GO! 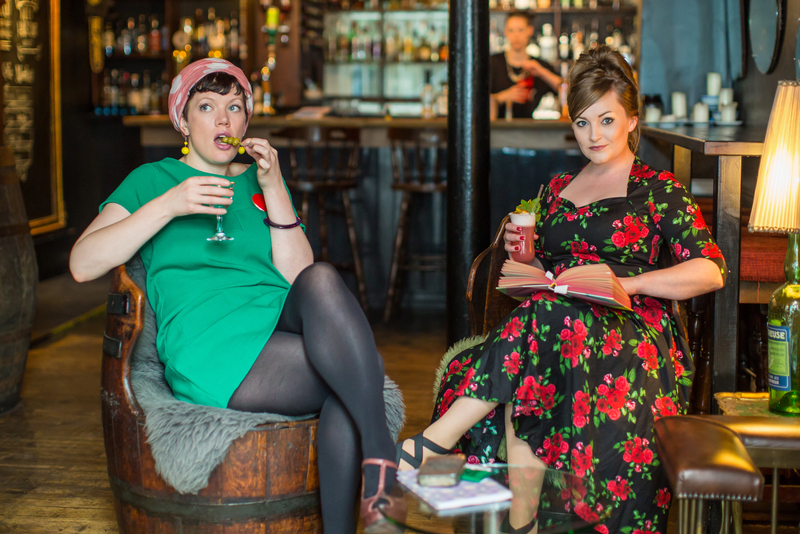 With not one but FOUR events coming up this very week…come see us in Edinburgh, Dundee and/or Glasgow, with some most excellent of friends…. Friday 23rd October: ‘Tangled Up In Blue’ – Rally & Broad in association with the Mental Health Foundation. With Delighted Peoples, Loki & Becci Wallace, Harry Giles, Chrissy Barnacle and Dog On A Swing. Doors 7pm, the Bongo Club, Edinburgh. £5 on the door or in advance here. Part of the Scottish Mental Health Arts & Film Festival. Saturday 24th October: Rally & Broad at Literary Dundee! With Toby Mottershead (Black Diamond Express) and Lucy Ribchester. 9 – 1030pm, Bonar Hall, Dundee. £3/£2 on the door or in advance here. 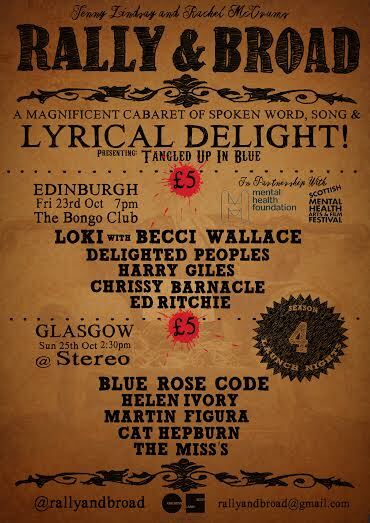 Sunday 25th October: ‘Tangled Up in Blue’ (Glasgow edition). With Blue Rose Code, Martin Figura, Helen Ivory, Cat Hepburn & The Miss’s. With special guest performer, Iranian writer Sepideh Jodeyri, in association with Scottish Pen. Doors 230pm, Stereo, Glasgow. £5 on the door or in advance here. Not only these three tasty extravaganzas to get Season 4 well and truly underway, but we’ll also be hosting the Saltire Society 2015 Literary Award Shortlist announcements on Thursday 22nd October in Edinburgh. It’s gonna be a busy old week. We can’t wait to get cracking, and we’d love to see your faces. Catch you at the front? Ours is a raspberry martini. ← Introducing… The Rally & Broad Team!